Hauser Panel Cutters, Model QLA2000, 126” wide, with 5 electric slitters, hydraulic lifting stack table. Automatically pulls into cutting area up to 2 pieces of fabric of a predetermined length, cuts it to length and slits it if slitters are engaged, and then stacks it on a mobile flat buggy. 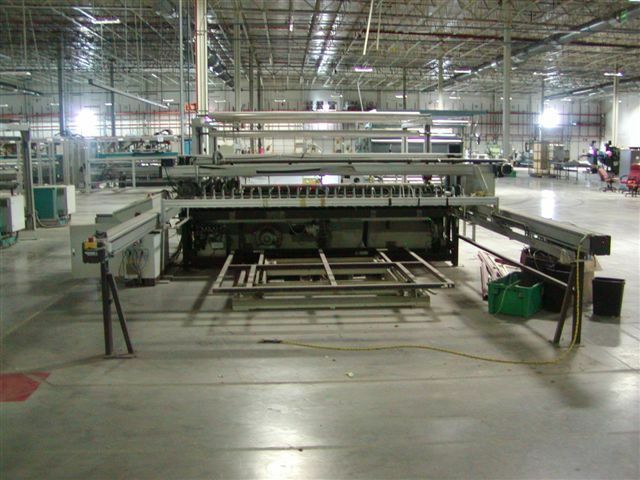 It is programmable to cut a specified amount of panels. Sizes and amount are fully programmable. Cuts up to 30 per minute depending on size.